We used this booklet during our last outreach in Bihar and distributed about a thousand of them in the Angika language. 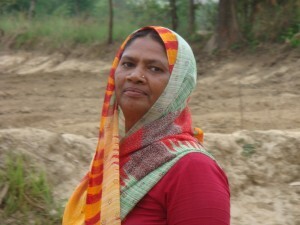 A language spoken in villages in Bihar where the Gospel has rarely or never been published. I communicated with the publisher and we came to an agreement to print at least 10,000 copies in Hindi to distribute in the most unreached Hindi speaking areas such as Bihar and Uttar Pradesh but also in the Northeast of India where many unreached Hindi speaking people reside. As Bihar and Uttar Pradesh is home for more then 25 million Yadav people we will not miss out reaching the Yadav using the Story of Jesus booklet! Pray and feel free to donate when God speaks to you to do so. God blessed all of us to be a blessing!